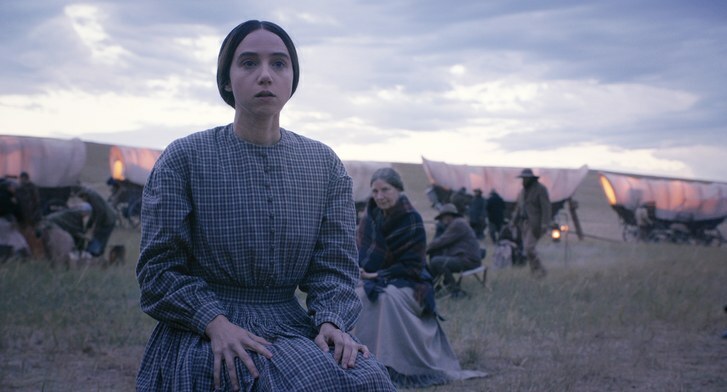 The Ballad of Buster Scruggs is a strange thing. Originally conceived by the Coen Brothers to be a series for Netflix, something happened along the way, and the result is this over 2 hour film made up of 6 vignettes. Side note: to get a sense of how this might’ve played as a series, check out the beautiful to look at, pondering, and pompous The Romanoffs on Amazon Prime Video. This moment comes about forty minutes into the film which has been established on the grounds of a woman (Julia Ormond) reading to her dying mother (Cate Blanchett) from the diary of Benjamin Button as Hurricane Katrina sweeps over New Orleans. The ghost of a New Orleans now lost haunts David Fincher’s lyrical adaptation of F. Scott Fitzgerald’s short story about a man who ages backwards. There’s no denying this film couldn’t have been made five years ago, not only because the technology wasn’t there to make the process of aging backwards look real, but it would’ve also been a completely different movie as screenwriter Eric Roth wouldn’t have been able to bookend the film with Blanchett on her deathbed as Hurricane Katrina comes to literally wipe away her life. The story is hung on a gimmick, and the film told as a fable, but there’s grounding in the reality of life’s greater mysteries that speaks volumes about not just the death of a man or a woman, but the death of a city and the death of a way of life. 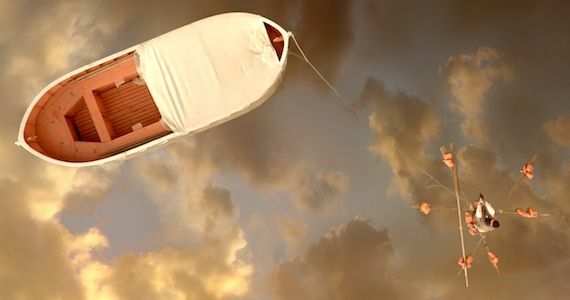 A big part of making the audience believe in the story falls on the film’s technical aspects: the make-up, the CGI, the period-piece details of the film’s set designs and costumes. If you look close enough, you can find things to nitpick, like the distracting disembodied voice of Cate Blanchett distorted onto a little girl, but for the most part Fincher constructs it all seamlessly. In terms of scope and sentiment, The Curious Case of Benjamin Button seems a complete departure for a director usually obsessed with darker more violent tales, but Fincher has always liked his plots to begin (think Seven or Panic Room) or end (think The Game or Fight Club) with a gimmick, and he’s always been a filmmaker obsessed with cutting-edge technology (think of the VIPER camera used to film Zodiac). Fincher does a superb job with his meticulous construction of these elements (complimented nicely by Alexandre Desplat’s subdued score), and he really wins the audience over with his flashbacks within flashbacks that are done in a charmingly stylized manner that remind us we’re watching a movie that’s meant to be enjoyed above any other pretense. By shifting the central location of the story from the original setting of Baltimore to New Orleans, Roth opens the film up to a new layer of interpretation. Though the episodic tale of Pitt’s Benjamin growing younger while Blanchett’s Daisy grows older spans the globe from Manhattan to Russia to Paris, the characters’ hearts remain united in New Orleans. Roth, who also penned the thematically similar Forrest Gump peppers his screenplay with many momentous events from the 20th Century, but those moments ebb and flow through Benjamin’s life just as the other characters do showing us that life is made only of moments. None of them last forever. The supporting players (including a gutsy performance from Taraji P. Henson as Benjamin’s adoptive mother who runs a nursing home) are wonderful and allow Pitt and Blanchett to shine as the movie stars that they are. Sure, these two have probably given better performances elsewhere, but here they have been given roles for which they might be best remembered long after their star-power has dimmed. In a year when the films with the most impact (like The Dark Knight) have been those that have tapped into the fears and mindset of the times we live in, it’s rather fitting that a movie like The Curious Case of Benjamin Button comes along at the end of the year. It should be one of those movies that hold audiences rapt in hushed silence, but it’s also the type of movie that usually receives instant backlash. I wonder how it will stand up over time. On the surface it attempts to tell a timeless tale, but in a bittersweet way proves the opposite. Movies stars like Pitt and Blanchett, movies like this, stories, fables, dreams, cities like New Orleans…none of these things are timeless. Timelessness is just a flight of the imagination…like the idea of a man aging backwards. But what a wonderful flight it is.